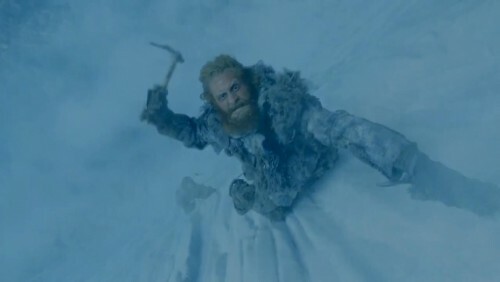 Old and short, but very broad and strong, Tormund Giantsbane is a famed warrior among the wildlings, and certainly in his own mind: he has a dozen bynames (at least some which he doubtless gave to himself) and is given to boastful tall tales. He is quick to laugh, quick to rage, and quick to make friends. The actor is significantly younger that Giantsbane is in the novels—Tormund has several grown children—and certainly not so very broad.